There’s a whole new Aladdin flying into our lives and we’ve partnered up with Disney Books for a celebratory giveaway! 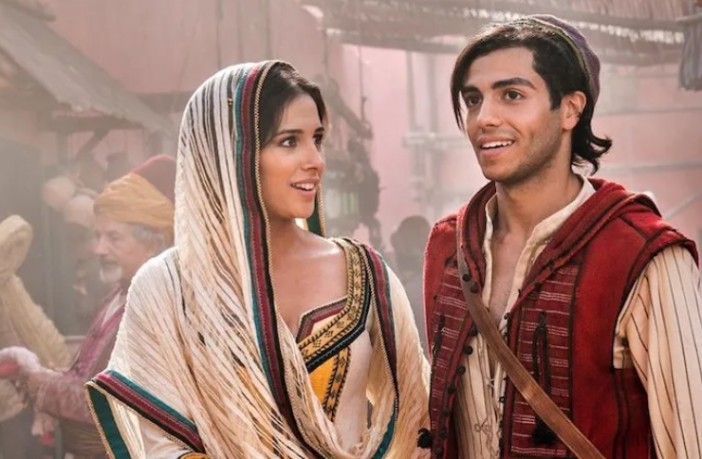 Aladdin is an absolute childhood favorite, so we were a little skeptical when we saw the first teaser of the new film. But when the trailer hit, we were blown away by the same sense of wonder, whimsy, and enchantment that the original give us. 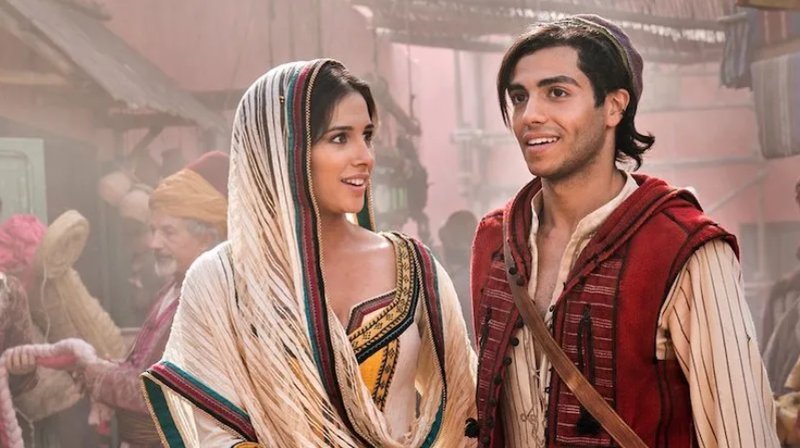 Now we’re aching to see Aladdin, Jasmine, Genie, and more on a live-action adventure! To whet our appetites for all things Agrabah, Disney Books is delving even further into the mythos with Aladdin: Far From Agrabah, a new middle grade novel by Aisha Saeed. We all know that Aladdin and Genie create the persona of Prince Ali of Ababwa, but this novel fills in what happens next– When Jasmine begs “Ali” to take her to the fictional nation of Ababwa so she can see the world from a new perspective. So begins a wild adventure to create a world that doesn’t exist and improve the world that does. The book is absolute true to the movie’s thirst for adventure and creativity, inviting us all to search beyond the world we know. By experiencing different people, cultures, and perspectives, these characters grow as humans and it helps them through their biggest challenges. it also made us dream of traveling to far away places to soak in more of the world! 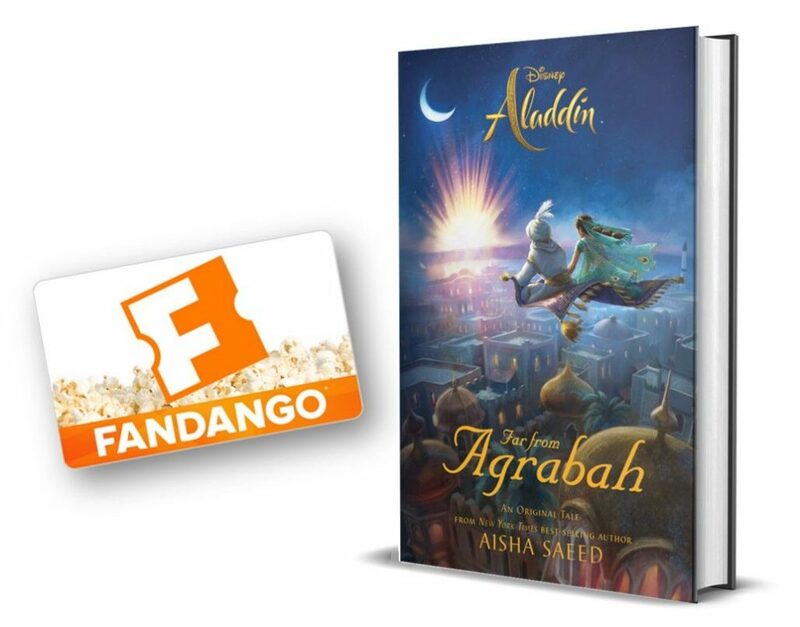 If you love Aladdin, now is your time to enjoy a book and the new live-action movie thanks to our special giveaway in conjunction with Disney Books! Per Disney, this contest is open to US residents only. Can’t wait to read this gem? Aladdin: Far From Agrabah is out now and you can snag a copy via Amazon or wherever books are sold! I can’t wait to see the scenery and costumes! I am looking forward to seeing the amazing sets and costumes. I can’t wait to see all the singing scenes! I am excited for the musical scenes. I love the music from this movie. I am most looking forward to seeing how they recreate the magic of the genie and the flying carpet! I’m looking forward to seeing this movie. Aladdin was always my second favorite Disney movie compare to my first favorite Beauty and the Beast. I am excited for Naomi Scott as Jasmine; Jasmine has been my favorite princess and I hope the movie does justice to her character. I am looking forward to the music. I hope they do the original justice. I want to see Abu! 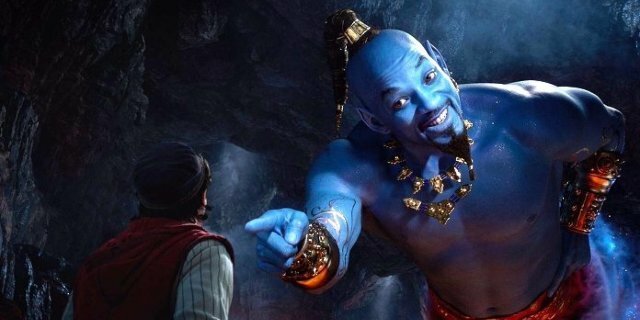 Will Smith’s performance as the Genie! I’m looking forward to seeing the costumes. I’m looking forward to all the songs and music. OH all of it! I am really excited to see how they do the magic carpet rides! I’m mostly looking forward to the musical numbers.